It's 1950's and I love it! The midi skirt is in and I couldn't be happier! It will make you feel like you are on the set of "Breakfast At Tiffany's!" There's are so many fun ways to wear them. Here's some fun ideas that you could try! I'm starting with my favorite look. Get ready to get in touch with your inner Hepburn! I adore everything about this look. It's head to toe chic. Starting with the cat eye sunglasses! This skirt is what I call a show stopper! You can wear it with a simple black tshirt and fun heels. Pair it with a colorful clutch and you're ready for NY Fashion week! I went out and searched far and wide to find a similar look at a decent budget. 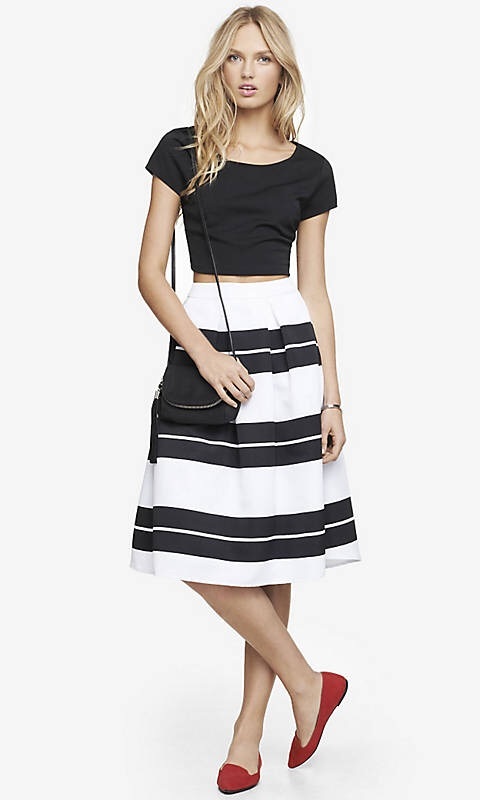 This midi skirt is found at Express.com for $69.90! A steal! I'm loving the flats too! Who says you can't be a ballerina. Pair a tulle skirt with a cardigan for a chic look. Try a wool skirt + a sweatshirt +pumps! It's going to equal a fabulous look! find wonderful looks at chicwish.com! Add a pop of color! 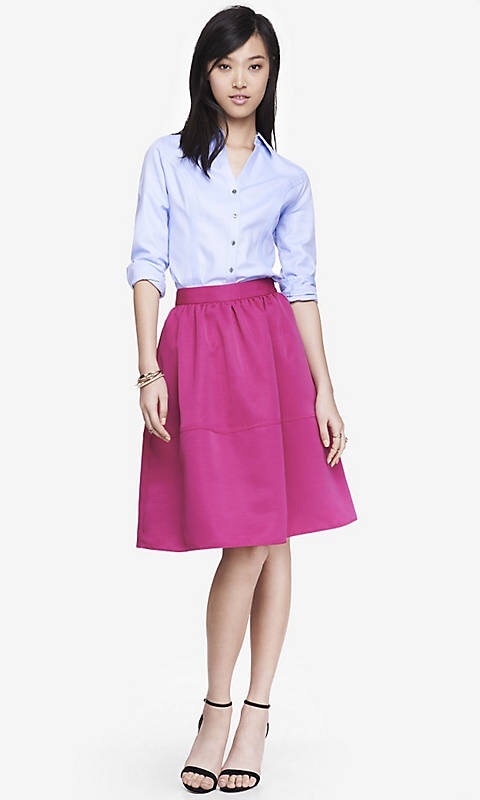 I love this hot pink skirt. It will be a summer essential. Found at The Express! Go for it!